See here all Alaskan repositioning cruises to and from Vancouver BC 2019 and 2020 ship relocation specials. We list here all departures and arrivals of passenger ships offering Vancouver repositioning cruise deals. They all are with one-way itineraries due to destination changes. TRANSPACIFIC relocation of ships leaving from Alaska to Hawaii and Australia, or to Asia (Japan and China) – in Fall, and the reverse in Spring. Panama Canal transition cruises on ships leaving from Alaska to California and/or Florida ports, also to NOLA/New Orleans, and Texas (Houston and Galveston) in Fall. The reverse routes are operated in Spring. Ships sailing on short voyages in Alaska. Repositioning cruise Seattle to Vancouver deals are offered during early Fall each year. The shortest and most cheap of all Vancouver repositioning cruises are the Spring deals on ships leaving out of Vancouver to Seattle, and Fall deals on the reverse route – departing from Seattle to Vancouver. The reason for this short transition is that some ships operate during Summer Alaskan cruises leaving from Vancouver BC, while the rest operate in Alaska leaving out of Seattle WA. The longer itineraries are on repositioning cruises from Vancouver to Australia and the Panama Canal transition to the Caribbean (disembarkation in USA ports). Another set of “Alaska short breaks” includes the so-called “Pacific Coastal Cruises”. They are operated by ships leaving from or arriving in California ports, respectively to and from Vancouver, Canada. All ship relocation cruises to and from Vancouver BC could be perfectly combined with cheap Alaska fly cruise deals. While most of the flight packages are offered during the active Summer season, the low-season deals offer discounted air on regular flights to and from Alaska. Major US airports will give you flight rates which are simply irresistible if you choose the early Spring or Fall for your Alaska cruise vacation to or from Vancouver. Offered also as low-season discount specials, Alaskan “cruise and stay” packages in Spring are another “budget price” option to enjoy this amazing region during the “ships repositioning” times each year. A main coastal port city of British Columbia, Canada. Population – 603,502 (2,3 million with all the suburbs). 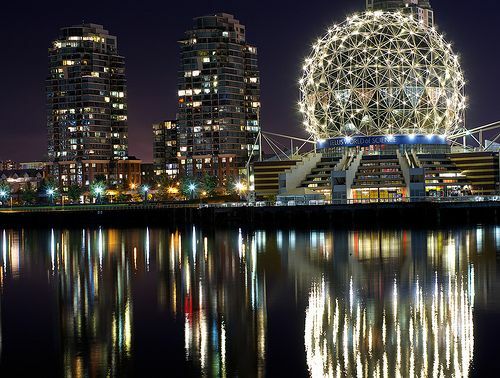 This is the 8th largest Canadian city, and the 3rd largest Canadian metropolitan area. Density is 5,249 people per km2 (13,590 per ml2). 48% of its residents speak English as a mother language. The tallest buildings in Vancouver BC are: “Living Shangri-La” (201 m / 659 ft), “Hotel Georgia” (156 m / 512 ft), “One Wall Centre” (150 m / 490 ft), and “Shaw Tower” (149 m / 489 ft). In the table below we list all Alaska cruise ships departing from Vancouver BC. The information is only on departure dates, the voyage length and embarkation/disembarkation ports (to or from Vancouver BC). For detailed itinerary information and cruise prices comparison follow our line-links from the table, or at page right. We will add more itineraries as soon as the Alaskan cruise lines leaving out of Vancouver announce their dates officially. Now when you know what are the Vancouver repositioning cruise deals as dates and ships, all you gotta do is book the right one for you. We wish you good luck and best of fun on your Vancouver “ship relocation” vacations – in the best “discount travel” time for low-priced deals! 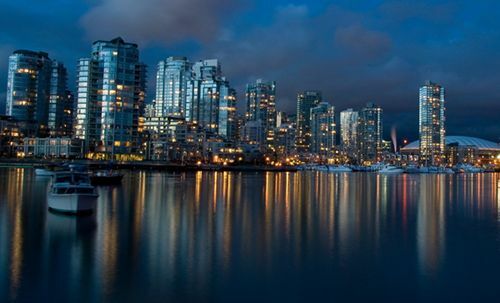 Vancouver is one of the world’s most amazing cities to visit on a cruise vacation. And the ship reposition deals just add more “money flavor” to the compelling Alaskan cruising vacation experience. Don’t miss it!